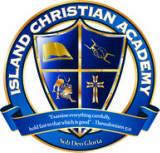 Thank you for considering Island Christian Academy. We invite you to review the information on this website, and encourage you to visit our campus located on the grounds of South Whidbey Assembly of God church. We provide instruction for students preschool through twelfth grade. We are a classical school focused on preparing college-bound students. Should your student not be college bound we will provide them with a very solid academic high school diploma. Island Christian Academy reinforces basic family values, provides high academic standards, and has teachers that are loving and supportive of every student. We believe success with our students comes from our low student-to-teacher ratio, strong academic curriculum, and our loving Christian environment. We encourage you to explore how Island Christian Academy can make a difference in your child’s life. Please feel free to call if you have any questions or would like to schedule a visit to our school. We welcome the opportunity to serve you.